Whether you are considering a trip or outlining your itinerary to Zimbabwe, there are many sites and activities to enjoy. 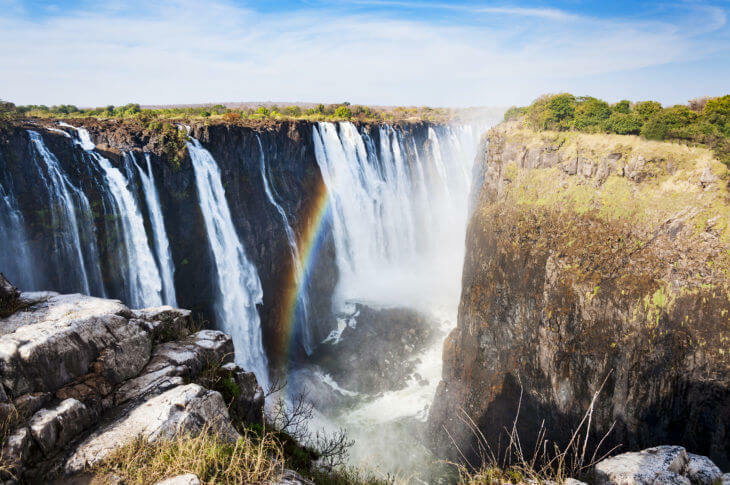 Zimbabwe is filled with natural wonders, like Victoria Falls, and historical sites like the Great Zimbabwe. Continue reading for a taste of the sites you can enjoy when you visit this beautiful nation. Described as one of the natural wonders of the world, Victoria Falls is a must-see when visiting Zimbabwe. Victoria Falls is classified as the largest waterfall in the world because of its combined width and height. There are a variety of activities you can do while visiting Victoria Falls, such as flying over the Falls in a helicopter. For the truly adventurous, you can bungee jump off the Victoria Falls Bridge. This bridge is 111m high and flows over the Zambezi River. Once you have experienced Victoria Falls, enjoy whitewater rafting down the Zambezi River. This is a great adventure, and you will be in the safe hands of experienced river guides the entire time. Once you have finished your adventurous time rafting on the river, you will come out of the Bakota Gorge and enjoy the rest of your day with refreshing drinks and foods. Zimbabwe has a storied history, and you can see a piece of it when you visit the Great Zimbabwe Ruins. The stone buildings—built in the 11th century—are some of the oldest in Southern Africa. Zimbabwe received its name from these ruins, which is known as the Great Zimbabwe. There is also a nearby museum where you can inspect various remnants of cultures who once inhabited the area. You and your family can visit these sites and so many more with the help of DSA Vacations. We specialize in tours of Southern Africa so our clients can enjoy the wonders of the African plains. Please visit us online or call us at 1-800-203-6724 to learn more about our various tours.